The wrist contains a sheath of tough connective tissue that surrounds and protects several structures. The carpal tunnel is the space between this connective tissue and the bones that make up the wrist and hand. Carpal tunnel syndrome exists when the median nerve is compressed. This nerve runs through the wrist into a tunnel surrounded by bones and ligaments. It is most common among women ages 30 plus and is typically caused by inflammation or swelling of the tendon. The median nerve is responsible for providing sensation to a large portion of the palm and fingers. It delivers motor control to the palm and thumb as well, so the consequences of carpal tunnel syndrome can be significant. Symptoms of carpal tunnel syndrome include numbness/tingling and/or pain in the median nerve distribution. This includes the thumb, index, middle and radial half of the ring finger and possibly weakness in the thenar muscles. It has been shown to be associated with obesity, hypothyroidism, diabetes, pregnancy, family history, rheumatoid arthritis and wrist shape. 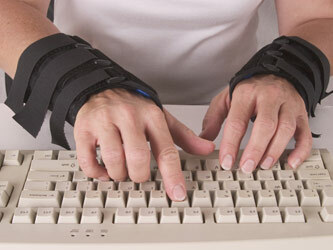 It can be associated with certain fractures of the forearm and wrist, and is often attributed to computer and other forms of repetitive work-related stress. A number of treatment options exist, depending on the severity of the problem. Lakeside Orthopedic Institute Inc orthopedic surgeons may recommend anti-inflammatory medicines or night splints. Those whose cases are more severe may be recommended for carpal tunnel surgery.